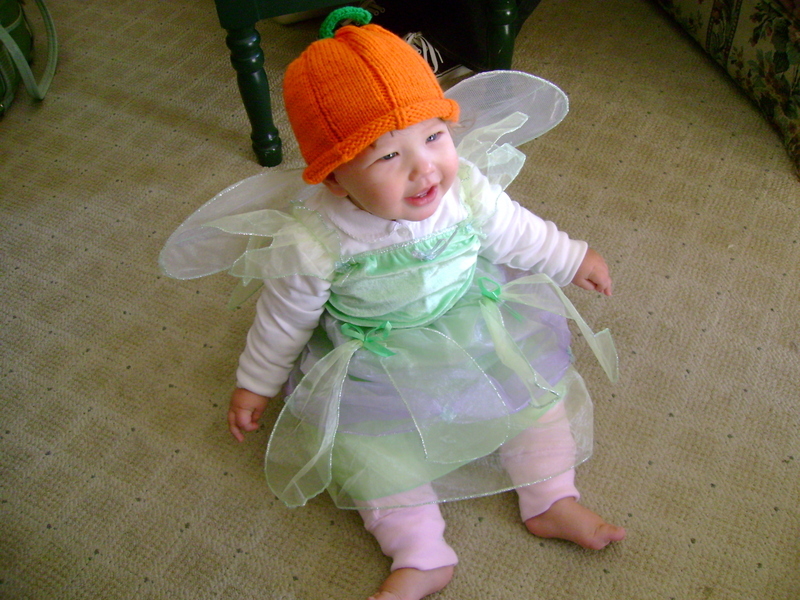 Bella is Tinkerbell for Halloween, of course, we called her Tinkerbella all day! We have a wonderful zoo here in Toledo, and they do an annual thing for the kiddies called Little Boo at the Zoo. 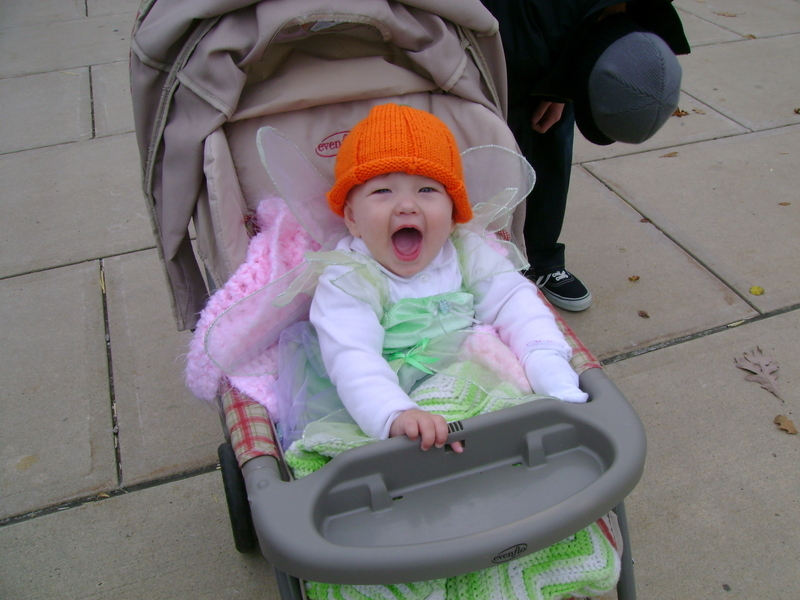 She had to have a hat to wear in the 50 degree-100 mile an hour breeze, so I knitted her up a little punkin hat. She is also wearing three layers of clothing! I used Plymouth Dreambaby doubled and it is so soft. It almost feels like velvet or velour when you double it. I can't believe how soft it is. Just right for a little punkin head! 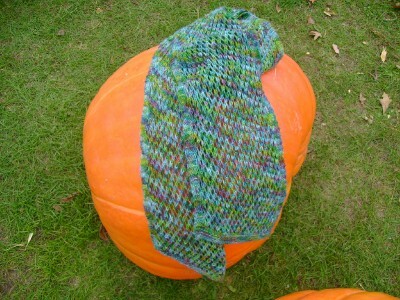 I added a purl stitch every 10 stitches to make the pumpkin ridges and I didn't increase to 85 stitches. I love the i-cord top!!! So cute! All bundled up from the cold. Sock yarn from The Sheep and Wool Co. 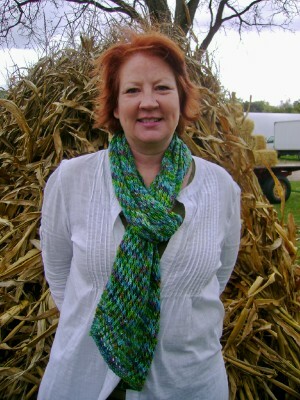 I added four rows of garter stitch to each end and four knit stitches to both sides. 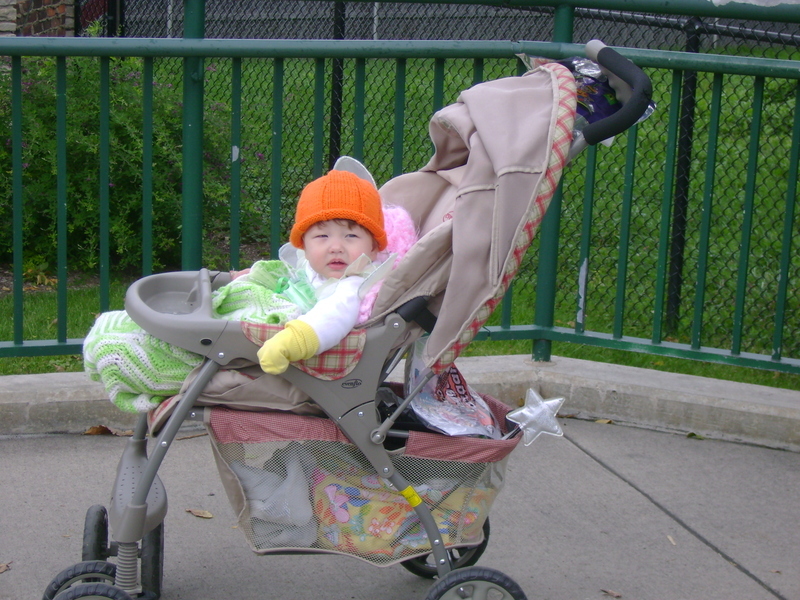 OH MY GOSH does she look adorable in that hat :) I hope you all had fun, I was too much of a wuss to stroll around the zoo in this cold weather...brrrr! Tinkerbella is adorable! 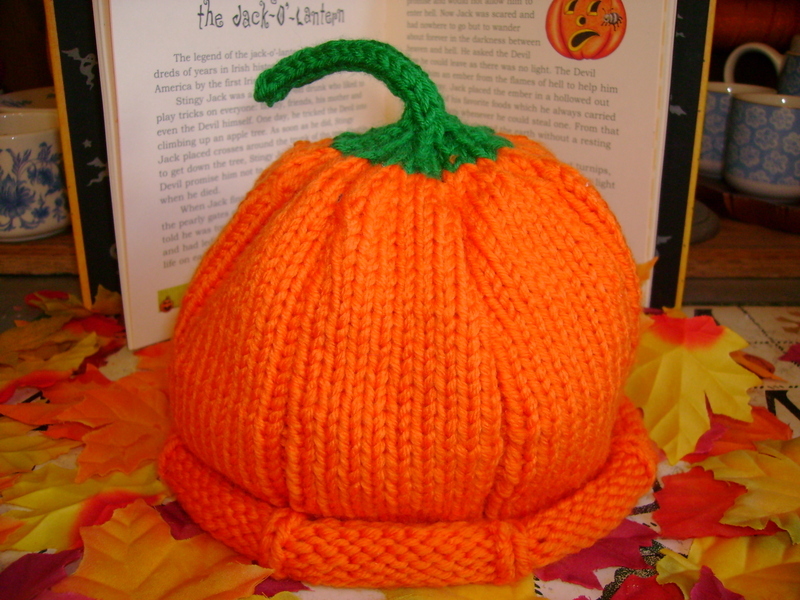 I love her punkin hat too. =) I'm impressed that you mastered montego. I've put it down three times now because I just can't get the pattern! It's so frustrating. 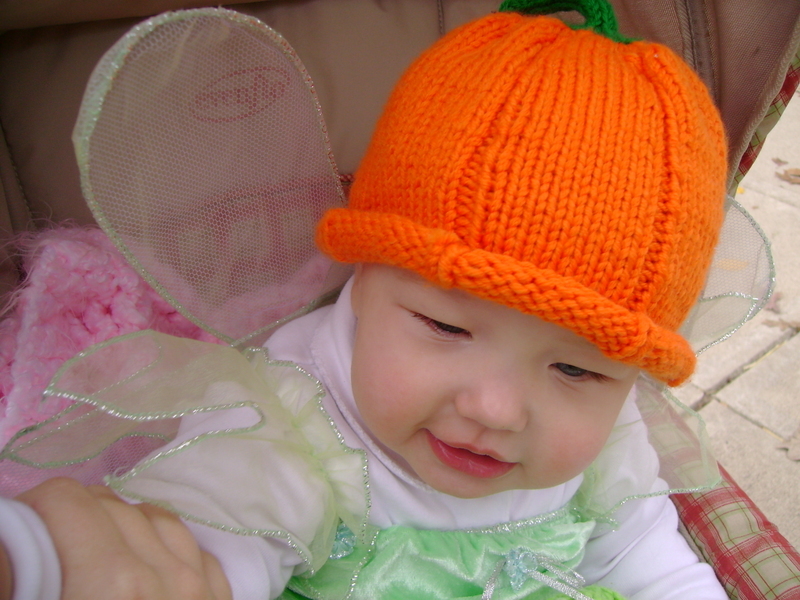 Tinkerbella looks so cute in her hat and the yarn you knit it with makes the hat look really soft and squishy. I can see that she thought it was a whole lot of fun! LOL Your scarf, too, looks wonderful. Well done, for mastering the pattern.